Dr. Rishi Ramlogan of Griffin Bariatrics discusses the special dietary needs of gastric bypass surgery patients in the short and long term. 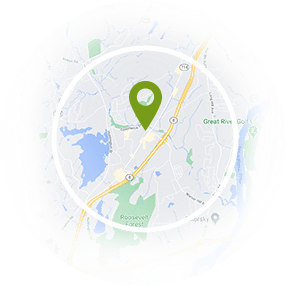 Derby, CT—According to the Centers for Disease Control and Prevention (CDC), approximately 78.6 million Americans are currently obese. The organization indicates that obesity is linked with many of the leading causes of preventable death, including heart disease, stroke, and certain cancers. Dr. Rishi Ramlogan, a bariatric surgeon in New Haven, explains that many patients are electing to have weight loss surgery to reduce their body mass index (BMI) to a healthier level. Gastric bypass surgery, he says, is one of the most popular and effective procedures to this end; however, before making a decision, patients should be well informed of the dietary and nutritional requirements that must be adopted following the operation to achieve optimal weight loss. During gastric bypass surgery, the stomach will be reduced in size to limit the number of calories a patient can digest, Dr. Ramlogan explains. As a result, he says that individuals must be careful to consume foods low in calories—no more than 1,000 a day—and high in nutritional content to maintain a balanced and healthy diet. Some of the foods gastric bypass patients should eat include protein, cooked vegetables (raw vegetables and raw fruit typically are not recommended, he adds), and plenty of water. In contrast, he advises individuals to avoid items that could cause discomfort or digestive blockage, such as tough cuts of meat, rice, bread, sugar, fats, soda, and fruit juice. Finding a meal plan that suits the needs and the lifestyle of the patient will require some experimentation and patience, he counsels, and these modifications typically will be for life. Dr. Ramlogan says taking vitamins following gastric bypass surgery will be just as essential to the diet as food and water. In many cases, he reveals, the body will not receive all the nutrients needed to function optimally with the new restricted diet, including calcium, Vitamin B12, and Vitamin D. Taking a multivitamin in addition to recommended supplements based on the patient’s particular needs can help to optimize weight loss and physical health and reduce the risk of complications. 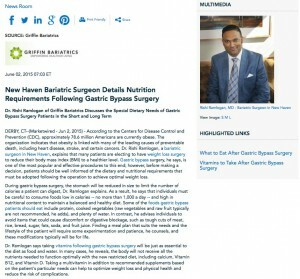 Dr. Ramlogan believes that providing an informative resource on the dietary restrictions following gastric bypass and similar weight loss procedures can help patients determine if bariatric surgery may be right for them. Though the process demands significant changes to lifestyle habits, the result usually will be worth the effort, he explains. He indicates that individuals who undergo gastric bypass surgery typically lose around 60 to 80 percent of their excess body weight. Certified by the American Board of Surgery, Dr. Ramlogan graduated from the University of the West Indies in Trinidad and Tobago before relocating to the US to complete a prestigious internship at the Mount Sinai School of Medicine in New York. He then completed additional training at New York Medical College (Sound Shore) in general surgery, and Danbury Hospital in advanced laparoscopy and bariatric surgery. He is a member of several esteemed medical associations and the recipient of numerous accolades. He is available for interview upon request. For more information about Dr. Ramlogan and his practice, please visit griffinhospitalbariatrics.com and facebook.com/griffin.bariatrics.